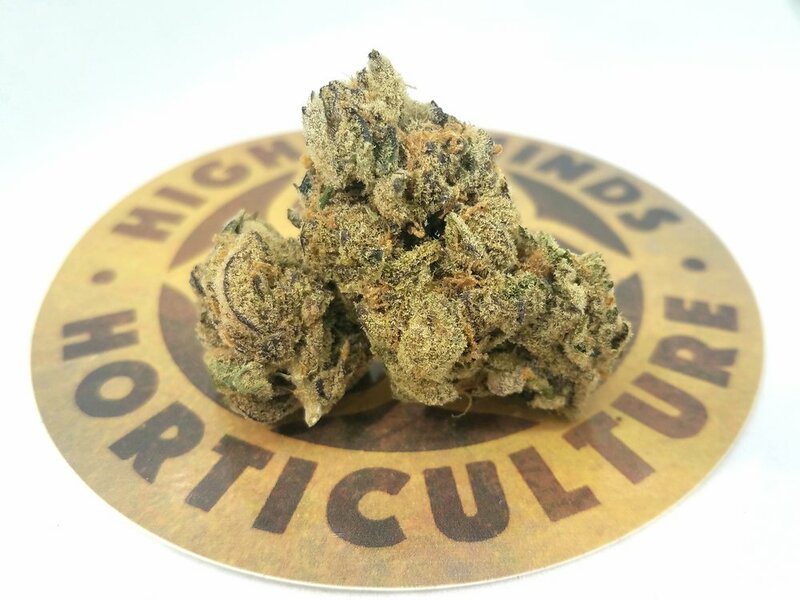 First I HAVE to say that Higher Minds Horticulture is by far MY FAVORITE grower in Oregon [since the days of Medical in 2014... they've been my favorite] And now, they've created some exciting and delicious new strains! Jelly Breath is a beautiful 50/50 Hybrid created by crossing the amazing Mendo Breath with the ever tasty Do-Si-Do. The two together makes for one deliciously true Hybrid strain, that can move you in either direction. The aroma is sweet and fruity almost like the smell of berries with a slightly more earthy undertone. The taste, OH THE TASTE! 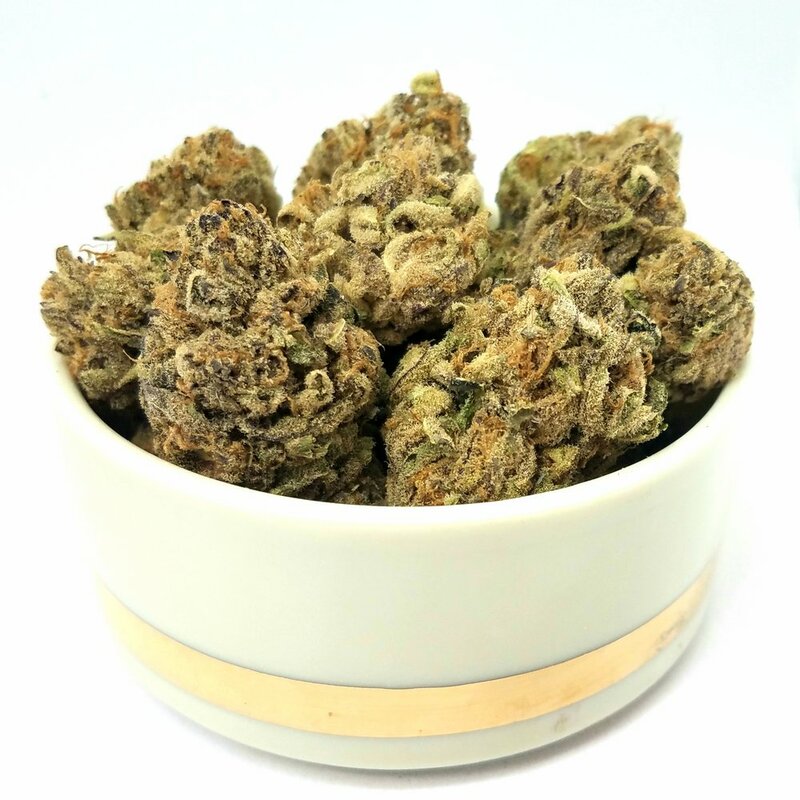 Much to my surprise Jelly Breath had an unmistakably fruity taste that mingled ever so nicely with its smooth yet slight spicy earthiness, and as every hit tasted just as good as the last it only made me wanting more! Now to get to the good stuff... The effects. First I noticed this strain has two sides, much like a coin. On the first side you get an upbeat, very enjoyable, and slightly motivational cerebral boost [but that doesn't last long and is prolonged by lots of movement] but soon you reach the second side and start to fade into this spacey, very relaxed, and sedative couch-lock. I had the pleasure of sampling this little beauty after my closing shift which let me off at about 11pm. I came home, sat down, and loaded a huge bowl of Jelly Breath. After smoking about half of my bowl, I decided at 1am that the time to finish building a Snake rack for my Ball Pythons was now! So I did - for the next hour or so I was so motivated and alert of what was going on and exactly what I needed to do to complete this large task. Once I had finished, it looked so great, I felt I was deserving of the remainder of my bowl. As I sat on the couch watching TV in the dark finishing my bowl, I noticed a great wave of deep seeded relaxation washing thru my entire body, bringing me to a much needed deep sleep that left me feeling extremely rested and a tad cramped as I never made it off the couch. Overall this was one of the BEST strains I've had from in my four years of being an Oregon Medical Marijuana Patient.